Getting into Flow - How To Recognize & Nurture Flow In Your Family? What makes us happy? What does it mean to have a meaningful life? Hungarian psychologist Mihaly Csikszentmihalyi thinks that the answer to these fundamental questions has a lot to do with a specific kind of experience that he named “flow”. He defines flow as a psychical state in which people are so involved in an activity that nothing else seems to matter; the experience itself is so enjoyable that people will do it even at great cost, for the sheer sake of doing it. Flow is a universal phenomenon that can be achieved while performing many activities ranging from cooking and performing surgery to dancing and rock climbing. However, some flow activities are more likely to provoke a flow state. These activities have rules, they require skill learning, they make it possible to set goals, and they provide feedback. What are the positive effects of flow? Many studies have shown that experiencing flow is in positive relation with psychological and subjective well-being, increased concentration, self-esteem, creativity, and performance. Adolescents who regularly experience flow are friendlier, happier, and more sociable. In the first part of this article you will learn more about the concept of flow and its characteristics, while at the end you can find some practical tips for nurturing flow in your own family. In his TED talk, Csikszentmihalyi specified different aspects of flow. We can use some of these aspects to determine if we succeeded in entering flow or as guidelines that can help us enter this state. Secondly, it is important that we know what needs to be done and how well we’re doing it. This means that in order to achieve flow, we should set specific goals and pay attention to the feedback. The nature of this feedback differs from situation to situation, but its main role is the symbolic message it carries – I have succeeded. However, sometimes we cannot set clear goals (for example, in some artistic activities). In this case, we must develop some sort of personal sense of what we want to accomplish. Thirdly, the experience of flow is intrinsically rewarding. Contrary to extrinsic motivation, where someone performs an activity in order to attain a desired outcome (money, reputation…), intrinsically motivated people perform an activity for its own sake. The state of flow itself is recognized as a reward, or as Csikszentmihalyi would say, an action becomes autotelic (auto – self, telos – goal). The fourth aspect of flow has to do with our skills. In order to achieve flow, we must perceive an activity as doable. In other words, we must evaluate our skill level as high enough to successfully perform an activity. The relationship between skills and challenges has a key role in entering flow and is described in the following section. Finally, we experience temporal distortion. A person in flow usually has a feeling that time passes much faster compared to time spent doing mundane, boring activities. Csikszentmihalyi “mapped” flow experience using a simple schema that includes measures of skill and challenge. In his early work, Csikszentmihalyi thought that in order to enter flow it was necessary to find a balance between your skills and challenges (as represented in the first model). If the equilibrium was broken, you would experience either anxiety (when challenges are overwhelming) or boredom (when challenges are too easy). However, many studies have shown that balance alone is not enough to enter flow. In situations where both skills and challenges were slight, people did not experience flow or actually, anything at all. Imagine playing a Tetris game set on minimum speed. You would most likely be very successful in sorting blocks and clearing rows but eventually it would result in complete boredom, even apathy. These findings led to the modification of the prior schema. The new model included the concept of apathy (low skill/low challenge alternative), and a more detailed view on possible states when there is a discrepancy between skills and challenges. The center of the concentric circles represents an average level of skill/challenge that is different for every individual. In order to achieve flow, a person must perceive their own challenges and skills as higher than average. States of arousal and control are close to flow, and one can easily slip into the desirable flow state by making adequate modifications. A very important thing to notice is that we have the power to modify or change our challenges/activities, and improve our skills. 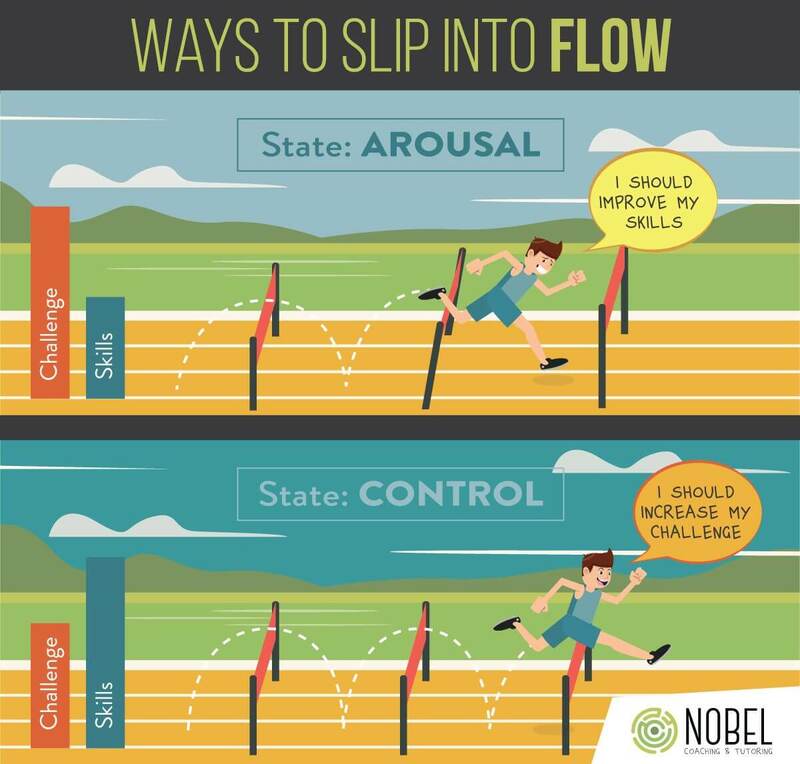 In order to achieve flow from the state of arousal (high challenge but the skill is not quite there), we must improve our skills. On the other hand, when someone has a feeling of control (high skill, but the challenge bar could be set higher), one can easily slip into flow by increasing the challenge. We all have the power to choose and we are responsible for our chosen objectives. Another important fact is that we can use the feelings presented in the second model as feedback that informs us what kind of change we need in order to achieve flow. Let’s return to our Tetris example. What happens if we increase the difficulty of the game to maximum without any prior practice? Blocks would start filling the screen before we could react and the game would end, resulting in a player who would experience, maybe not anxiety, but certainly some level of dissatisfaction. What happens if we develop our Tetris playing skills but always stick to medium difficulty? In this case the player is in control (which is a good state to be in, according to Csikszentmihalyi) and can have a reasonable amount of fun, or, at some point, play the game for purely for relaxation. 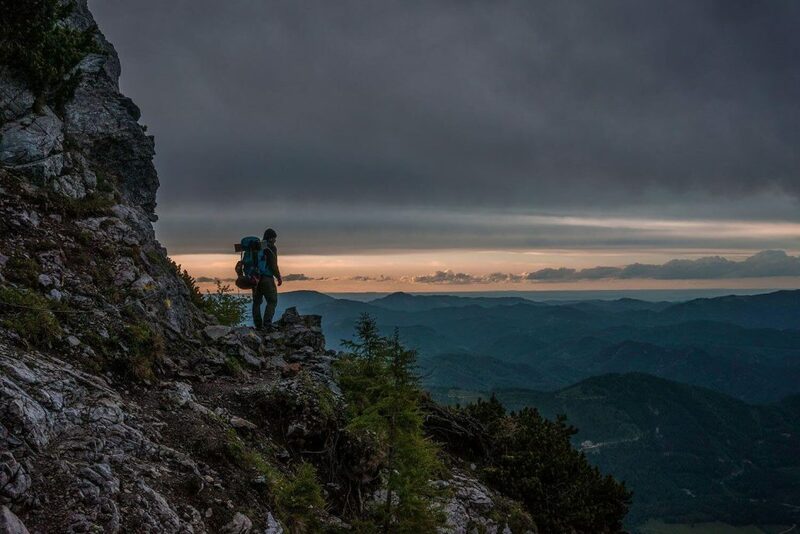 However, flow as an optimal state of mind can be easily entered from control just by increasing the difficulty and creating a more challenging task. Rathunde, one of the authors who studied flow, specified five family characteristics that provide an optimal context (autotelic family context) for adolescents to achieve flow. Clarity – adolescents have a feeling they know their parents’ expectations. Communication in the family should be unambiguous and goals explicitly defined. Parents need to provide clear feedback regarding the adolescent’s behavior. Centering – adolescents have a feeling that their parents are truly interested in their actions, feelings, and experiences. Parents need to explore the teenagers likes and dislikes, and pay close attention to both verbal and non-verbal communication. Existence of choices – adolescents have freedom of choice. They can even disobey the rules set by their parents if they accept the consequences. This may be hard for parents to accept, but having freedom of choice has many positive effects, including development of an internal locus of control – the feeling that we can have control over various life events. Commitment – children need to feel secure in order to lose themselves in an activity. If parents threaten to withdraw their love from a child every time a rule is broken, the child can become anxious and insecure. Challenge – parents need to create/provide increasingly complex opportunities for action. In doing so, parents must be careful not to set challenges way above or below the skill level of their children. Providing both support and challenge helps your children become more confident and independent. These 5 C’s of nurturing – clarity, centering, choices, commitment, and challenge – set the stage perfectly for adolescents to be able to enter the state of flow. As mentioned earlier, there are numerous positive effects of flow. Some even argue that regularly experiencing flow is the secret of happiness. Because of that, it is not surprising that there are experts on flow who can help adolescents and parents create an optimal environment and bring more flow into their lives. Csikszentmihalyi, M., & Csikszentmihalyi, I. S. (1988). Optimal experience: Psychological studies of flow in consciousness. New York: Cambridge university press. TED Talk – Flow, The Secret To Happiness (2004). If you need any kind of advice related to motivation and development of your teen children, you’ve come to the right place! Hello there! I definitely agree with you about flow state. I also wanted to point that anyone can achieve flow state. I read this article https://www.cwilsonmeloncelli.com/9-behaviours-flow-the-zone-hack/ that tells you that you could enter the flow state as long as you inhibit a set of behaviors that will trigger the flow. I think this is also quite similar to your point of view.